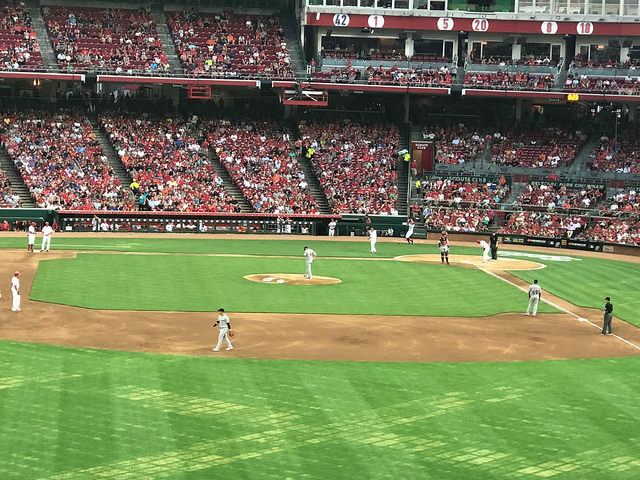 Great American Ballpark-Cincinnati, OH: Oops… wow I’m way behind on this blog, and didn’t even make an entry in July! 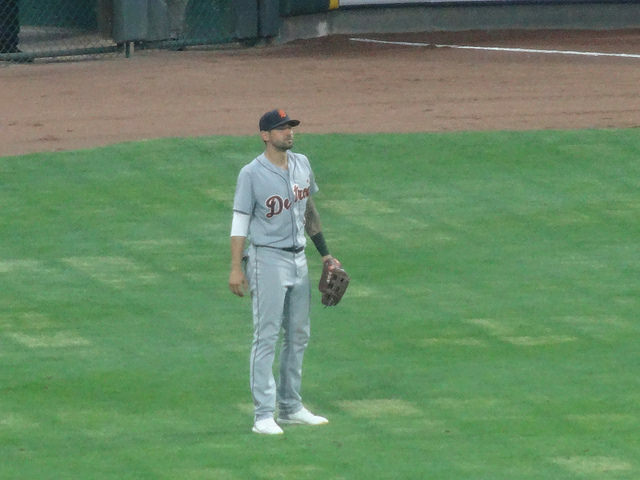 Well, here I am catching up on June, when the Tigers were visiting Cincinnati, so it sounded like a great chance for us to catch some games. My dad came down from Michigan to join us for the games, also, which made it a special couple of days. 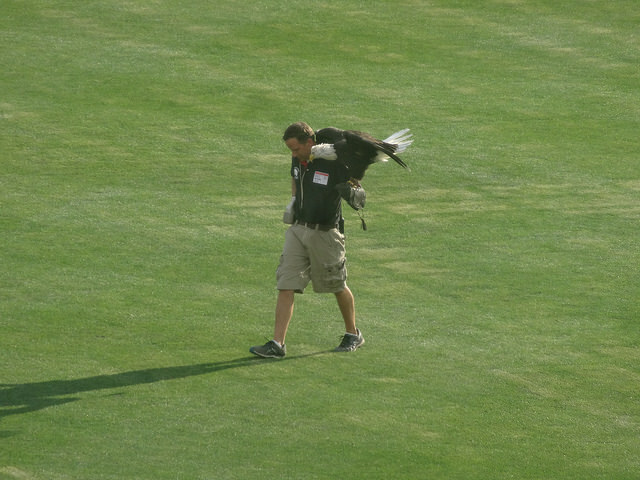 The National Anthem was cool, as they had a bald eagle from the Cincinnati Zoo do a fly in after the song. I’m not going to mince words here, this was an ugly game for the Tigers. Just horrible. Hard to watch. 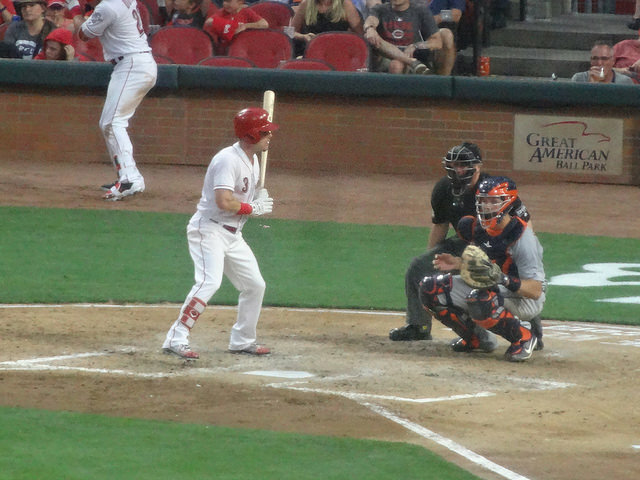 Joey Votto hit a grand slam off of Nick Castellano’s glove, to help put the Reds up 9-0. 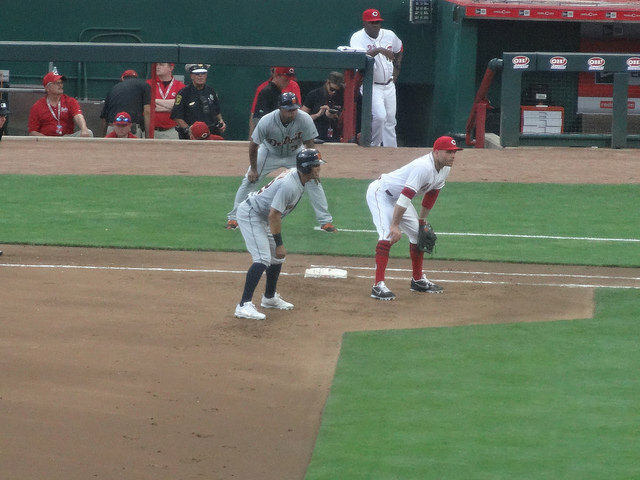 The Tigers made a run in the ninth, scoring five runs to make it look respectable, but too little, too late. Scooter Gennett added two hits for the Reds and Leonys Martin went 3-3 for Detroit. On the mound, Sal Romano earned the win for Cincinnati, while Matt Boyd struggled and took the loss for the Tigers. 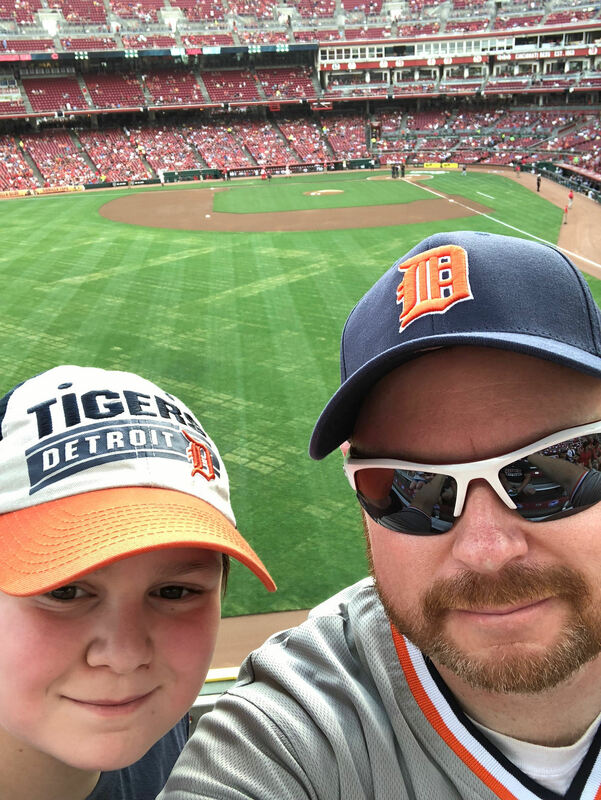 Fun to see the Tigers with my family, but rough to watch the re-building Tigers struggle so much. We’d be back the next afternoon to see if they could do better (they didn’t…) Final: Reds 9, Tigers 5.